Welcome to Roll20! We’re very excited that you’re here. Since this is the first time you’ve joined a game, here’s a quick overview video to get your started. You’re looking at the main Roll20 interface. You’re currently logged in as a player. In the middle is the core piece of the interface, the virtual tabletop. It probably looks different than the one in this video, since your GM has customized it. But the things we’re going to show you should still work the same. The first thing you probably want to do if you haven’t already is turn on your video chat by clicking the “Allow” button here. You can also click the camera icon to change your webcam or microphone settings. And if you just want to use audio and not video, head over to your Settings tab here to adjust those options. In addition to video, you can also communicate via text chat over here on the right side of your screen. To say something to everyone, just type your message and press Enter. There’s also full support for whispering to other players or the GM. And you can also emote to add flavor to the conversation. And if you want to roll dice, click on the dice icon here on the Toolbox. You can click to make basic rolls, and a list of your last 10 rolls is down here so you can re-roll them. 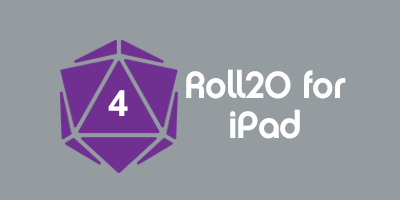 You can also roll directly in the text chat box by typing /roll followed by a formula, for example, “/roll 1d20+5”. Everyone can see the results of the roll. If you want to keep a roll private, do /gmroll; for example, /gmroll 2d8+2. We support a lot more than just basic rolls, so be sure to ask your GM what options are available if your game system uses more advanced roll mechanics. If you open up your My Settings tab, you can choose to create macros, which are often-used rolls that you want quick access to. You might make one for your PC's main attack. Your GM may also create Macros for you which show up here. You can add a macro to your quick-bar and it will show up as a button along the bottom of the screen, allowing you to just click it and perform the roll. Consult our wiki site for information on advanced macros, such as targeting tokens, using character attributes and abilities, and more. You may also want to turn on 3D Dice, here in the My Settings tab, which lets you see a real physics simulation right in your web browser every time you perform a roll. You’ll also see others' rolls if they have 3D Dice turned on as well. Let’s talk tokens. You may see one or more tokens on your screen right now. You may be able to select and move them, or maybe not. That’s based on what your GM has set up. If your GM has given you control of a token, you can click and drag to move it on the tabletop. You can also rotate it to turn it around, and you can use the markers tray here to mark yourself, useful for keeping track of status effects. You may also see one or more bubbles up here if there are stats that your GM wants to show you, and you may also be able to click on the bubble to change the value. You can also type a relative number, for example “-5” to subtract five from the current value. Some tokens may also have token actions -- that’s a token-specific list of rolls that shows up when you select the token. Your GM will help you set those up for your token if you want to use that feature. Roll20 also has some great drawing tools that you can use to make notes on the screen. Just click the freehand tool and draw! You can also use the shape tool to draw rectangles, or hold shift to draw circles. The secondary toolbar here allows to adjust the color of the stroke and fill of the drawings, either before or after you draw them. And if you need to get everyone’s attention, just click and hold with the mouse button anywhere on the map to send a “ping” that everyone can see. Finally, check out your Journal tab. Your GM can choose to create Characters and Handouts here that you can refer to and even edit. So be sure to keep an eye out for secret notes or vital pieces of info! That’s pretty much all there is to playing in Roll20. If you have any questions, your GM can probably help you out. If you’re feeling a little more adventurous, we do have a help site at help.roll20.net with more detailed information on each feature. And from all of us on the Roll20 team, we hope that you have a great game! This page was last modified on 5 February 2015, at 01:17. This page has been accessed 120,332 times.